Whilst mainstream Astrology describes one’s outer personality traits and the things that are likely to happen to one in the physical world, Esoteric Astrology is a branch of Astrology that is to do with the higher aspect of ourselves, often referred to as the Soul. It is concerned with the unfoldment of consciousness and the ways in which the Soul works through the personality. Its purpose is not to replace the traditional method of chart interpretation but to complement and enhance it by providing an understanding of the Soul as it is working through the personality. This approach to Astrology enables us to expand our awareness, and recognise our place in a much higher order. For the majority of people, mainstream Astrology is sufficient for their needs as it can help them understand themselves more fully, identify their strengths and opportunities and the various challenges which are presented to them in life. However, it is not until a person is consciously treading the spiritual path and living their life in that reality that the method of Esoteric Astrology will make sense or be relevant to them. It is expected however, that it will become more popular as more and more people move away from material values, raise their awareness and see themselves as more than just a physical body. 1) The Seven Rays. A Theosophical subject describing streams of energy that emanate from cosmic sources and condition and influence all of humanity. The rays influence us on several levels of our being – physically, emotionally, mentally and spiritually. Please see my article (The Rays of Light- written for Kindred Spirit magazine), on this website which is written from the perspective of the Rays effect on humanity rather than on a personal level. Also see my article (https://issuu.com/odysseymag/docs/ody0516 - page 38), written for Odyssey magazine on the effects on the 6th and 7th Rays on humanity’s current situation and the evolution of mankind. 2) Esoteric Astronomy. ‘Space is a conscious entity’ and ‘all that exists is consciousness unfolding’ (EA p.7). 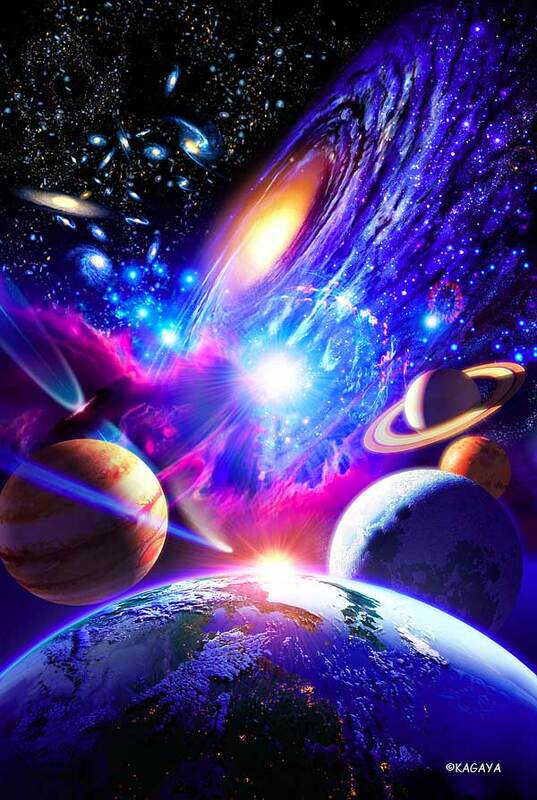 Planets in our solar system are incarnations of evolving consciousness. This statement implies that much can be learnt from basing our understanding of astronomy from an esoteric viewpoint. 3) All forms of life are conscious, evolving and contained within a higher order. Planets are equivalent to chakras within the body of the Solar Logos whose body is our solar system. They function similar to the chakras in a human being. Humans are a certain type of cell within planet Earth which is known as the Planetary Logos. The Planetary Logos can be regarded as our God but the Solar Logos is seen as a God of an even higher order. 4) Higher expression. As would be expected, Esoteric Astrology focusses on the higher qualities and expressions of each of the 12 zodiac signs. In this system, signs have different ruling planets which are used according to an individual’s stage of spiritual development. Some planets in our solar system are know as sacred planets. Having reached a higher level of consciousness, their position shown in a birth chart, ‘will aid in the processes of affecting the fusion of soul and body, of consciousness and form;’ (EA p 506). 5) Initiations. We undergo initiations as part of our spiritual development. Please my article (Initiation and the Spiritual Path) written for Paradigm Shift magazine, on this website.